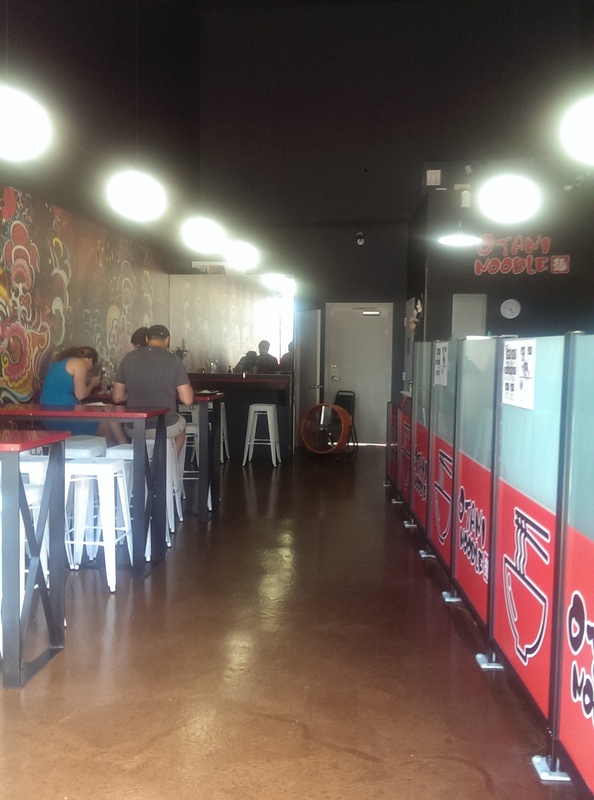 Cleveland has desperately needed a good ramen place. Otani Noodle fits the bill. It isn’t amazing ramen like Slurping Turtle or some of the ramen places in New York, but it certainly fulfills the craving for a well-crafted bowl. Don’t come here with high expectations, and you will probably walk out very pleased. 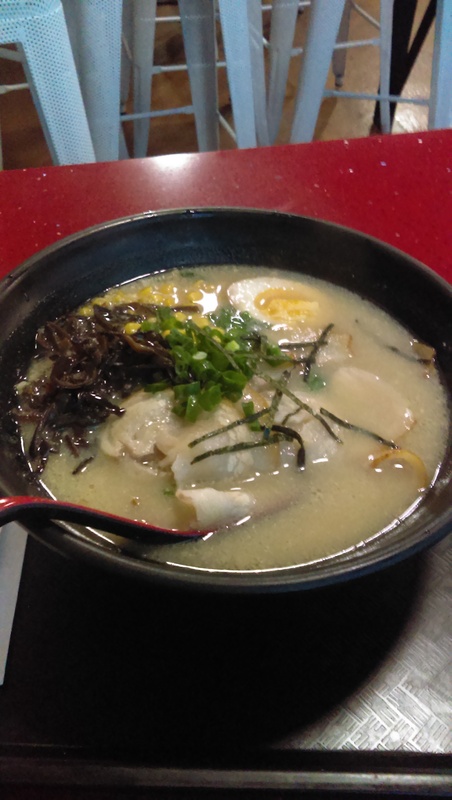 Located on Euclid Avenue next to the CIA building, Otani is a small space with some tasty ramen. It is decorated in red and black with a colorful mural on one wall with four tables on the left side and the counter and kitchen on the right. You go up to the counter to order, find a seat and then they bring it out to you. Service is fairly quick. I think I waited about 5-10 minutes for my ramen. The seating (fairly high plastic stools) does not encourage you to linger. I found the higher seat to be fairly uncomfortable. Luckily I live close enough that I could take it to go if I wanted to enjoy it in the comfort of a more comfortable chair. My first visit was in the summer right after it opened. I live up the hill in Cleveland Heights, so I am in the Uptown area a lot. 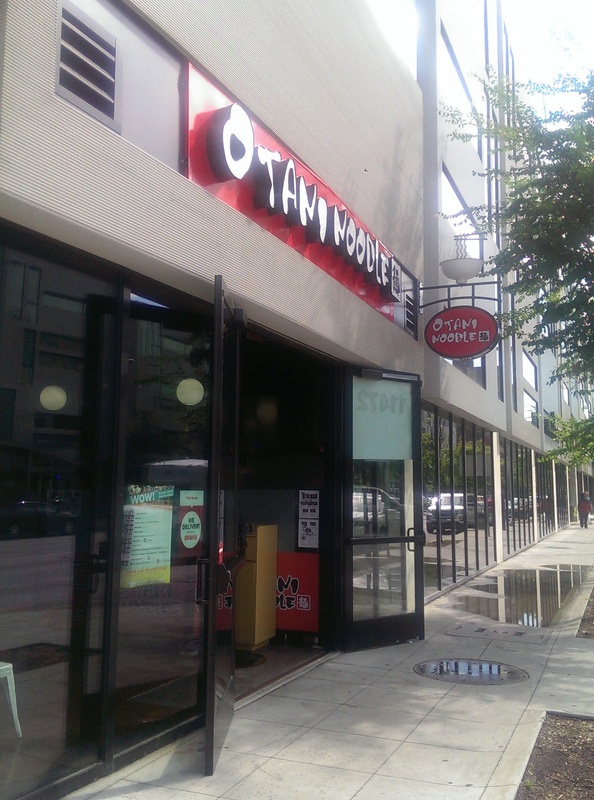 I parked in the parking garage behind Crop Kitchen and hobbled my way to Otani Noodle to soothe my craving. The place was not that busy, but I hear word is spreading and people are flocking there. I’m glad to hear this, because we need it in the area. The staff was welcoming and helpful and brought out my steaming bowl for me. I sat in front of the open doors and the fan and enjoyed every warm bite. 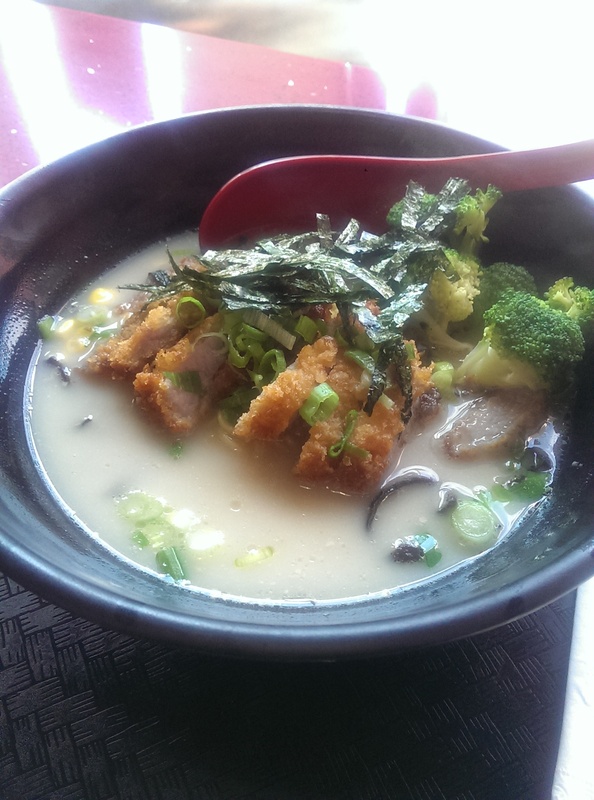 For my first visit I tried the Torikatsu ramen, which is fried chicken cutlet in a tonkatsu broth. The broth was rich and flavorful. They get their noodles from Sun Noodle, which according to my knowledgeable friends are the best noodles you can get in the States. They had a nice toothsome bite and were great. The chicken was perfectly fried, tender and crispy. 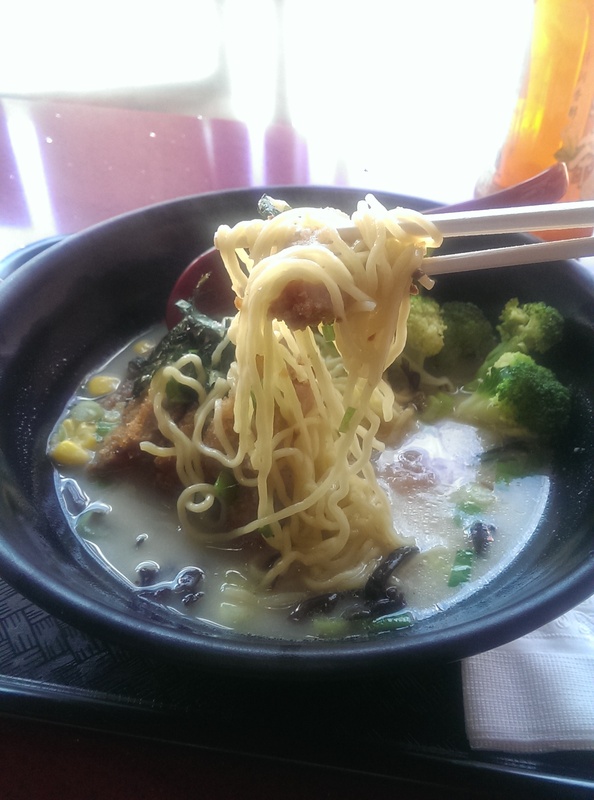 I loved the added extras like corn, broccoli, scallions, mushrooms, and seaweed, which added some great flavor. I will definitely order half a boiled egg next time as well. It isn’t ramen if it doesn’t have a hard-boiled egg half. I ordered the jasmine-infused honey tea as my beverage, which also hit the spot. It was a nice bottled ice tea. On another more recent visit I ordered the Char Siu Tonkatsu ramen instead of the pork belly one, because another Asian noodle restaurant about a block away has turned me off pork belly for life. The char siu roasted pork came in thin slices and had a great flavor. The only reason I haven’t tried more of their food is because I have been too busy with work to go out for lunch and have been eating at home more to save money. 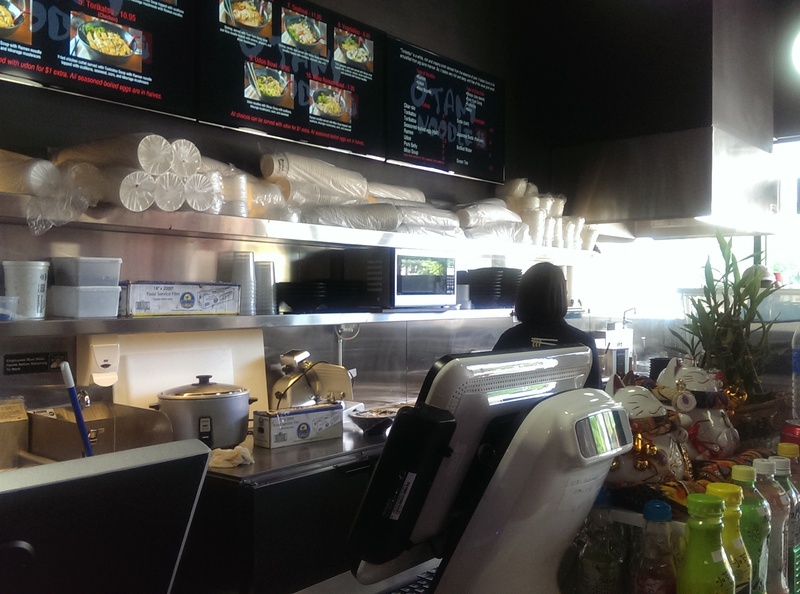 I look forward to trying the tempura shrimp and miso ramens. The website is fairly useless. I still haven’t figured out if they have a menu listed on it. If you are going to make a website that contains no information (and no menu?!? ), do your customers a favor and don’t bother. Thank goodness some kind soul posted photos of the menu on Yelp (page one and page two).